This summer, as Israel devastated Gaza, killing over 2000 Palestinians and maiming thousands more, Scottish people demonstrated in their thousands and endorsed, once again, the Palestinian call for a campaign of boycott, divestment and sanctions against the state of Israel. 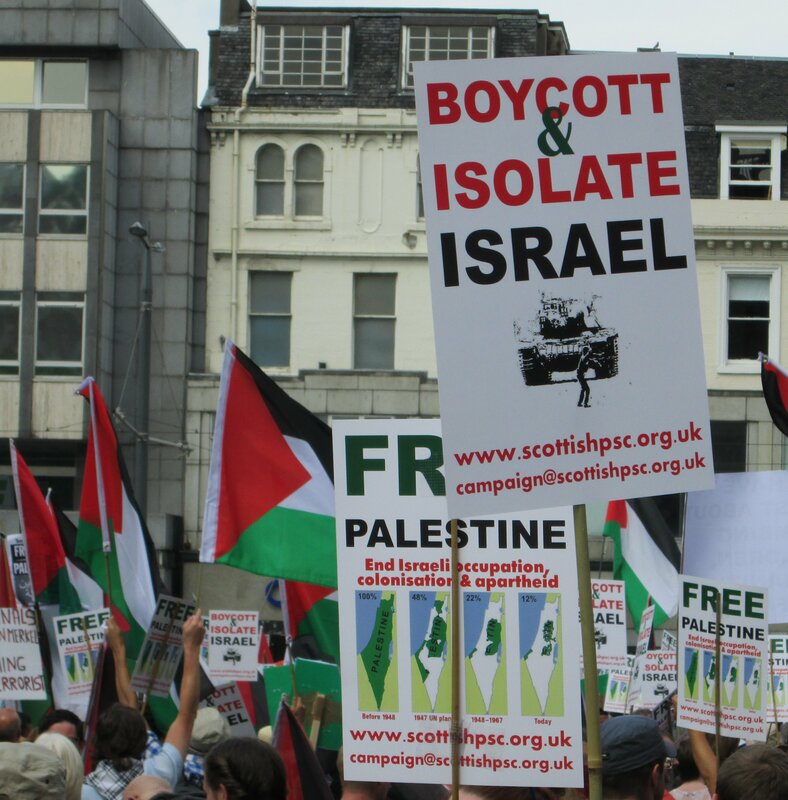 The Scottish government publicly supported demands for an end to arms sales to Israel. In August, Scottish PSC Fife organised a demonstration in Glenrothes, where one of the world’s biggest arms companies, Raytheon, has a plant. Other firms with bases in Scotland, Denchi Power and Selex, were also found to be selling military hardware to Israel. Following a similar protest at Elbit Systems, an Israeli arms company plant near Birmingham, in September, activists from Glasgow Palestine Action were arrested for protests at the entrance and the rooftop of a Thales plant near Glasgow. Elbit and Thales are working together to make the next generation of ‘Watchkeeper’ drones, a contract worth £1 billion. This speaking tour is a chance for us to hear from the Raytheon Derry campaign, and is an opportunity to share ideas and build a sustained campaign to end Scottish arms sales to Israel. Goretti Horgan is a Derry based socialist, trade unionist, women’s rights activist and social policy researcher/lecturer at the University of Ulster. She was one of the ‘Raytheon 9’ women, members of the Derry Anti War Coalition, charged with burglary and attempted criminal damage as a result of their occupation of the Raytheon plant in Derry on 12 January 2009 during Israel’s assault on Gaza. The nine women entered the building that housed Raytheon and chained themselves to each other and to the internal doors leading to Raytheon’s part of the building. Five men were also arrested while demonstrating outside in support of the women. A jury in Belfast Crown Court acquitted the ‘Raytheon 9’ women. Three of the men arrested were also acquitted while two were convicted of minor offences. 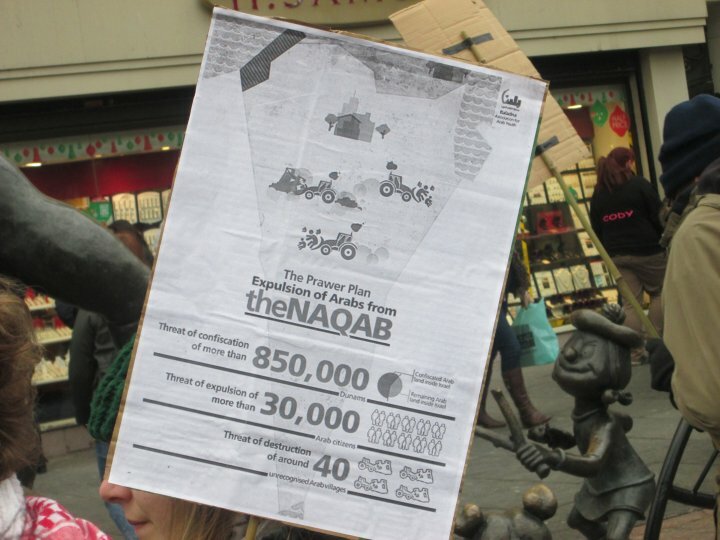 In 2010 Derry campaigners won a massive victory when Raytheon closed down its Derry plant. In August 2006, Eamonn McCann, journalist and socialist activist, was one of nine male protesters, also known as the ‘Raytheon 9’, who were charged with £350k worth of criminal damage after deliberately sabotaging Raytheon’s mainframe computer. This action was a direct response to Israel’s targeting of residential apartments in Qana, Lebanon, when 28 civilians were killed with a Raytheon “Bunker Buster” bomb. In June 2008 the ‘Raytheon 9’ were acquitted unanimously by a Belfast jury after it accepted that the action was being done in order to prevent further loss of life. During the same trial, representatives from Raytheon had to admit that they had continued to supply weaponry to Israel in spite of evidence that it was being used to commit war crimes. Show Solidarity with Gaza -End Commercial Support with Israel. As the death toll passes 1,000, and Israeli Operation Protective Edge looks set to become even more deadly than Operation Cast Lead in 2009-2010, we ask you to please support our lunchtime solidarity vigil to protest against this merciless Israeli attack on Gaza. 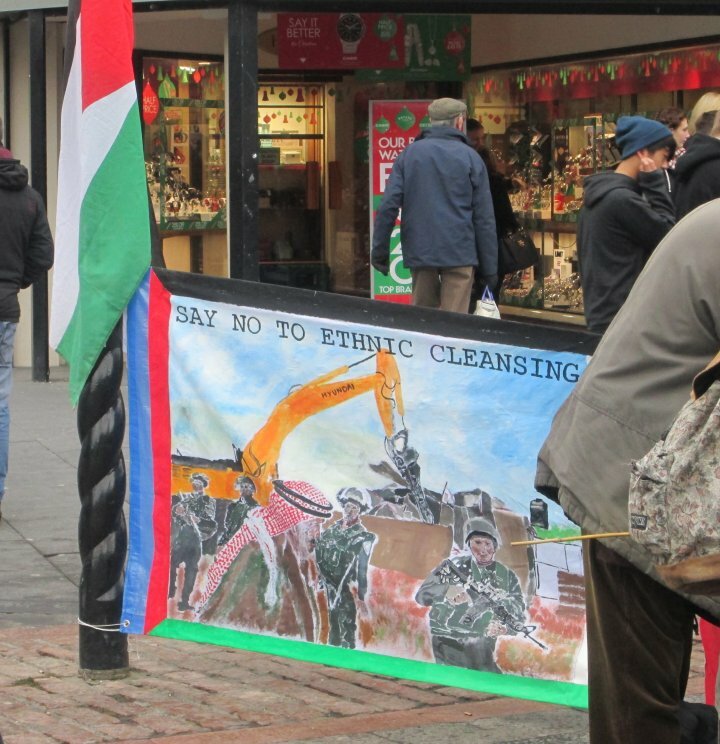 The vigil will focus upon encouraging shoppers in Dundee to support the Palestinian call for a consumer boycott of Israeli goods. Ron Taylor is a regular visitor to the South Hebron Hills of Palestine. He has experienced at first hand the ethnic cleansing carried out by the Israeli state. He will speak about what he has witnessed and what action can be taken to try to prevent it. Ron’s tour will see him speaking in towns and cities across Scotland at the start of April. 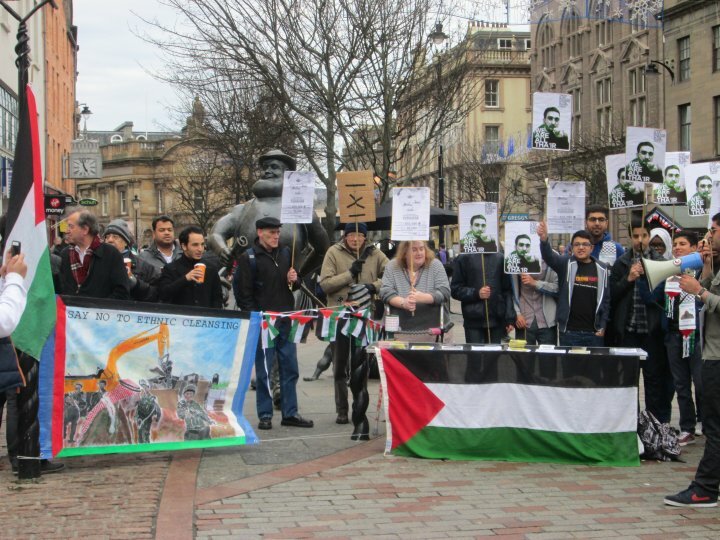 On Saturday 30th November, about 50 Palestinian solidarity activists from Dundee staged a protest in Dundee city centre against Israel’s so-called Prawer Plan. This was one of many actions across the world, involving thousands of protesters voicing their opposition to the Israeli state’s plan to ethnically cleanse thousands of Palestinian Bedouins from their land. They also intend to destroy 35 villages. The Dundee event included a short dramatisation of an eviction, together with speeches and the distribution of several hundred leaflets. Saturday 30th November is an international day of protest against the Israeli State’s Prawer-Begin Plan, which aims to remove tens of thousands of Bedouin citizens from the Naqab (Negev), and relocate them to government-approved shanty towns, destroying 35 villages and stealing hundreds of thousands of dunams of land. 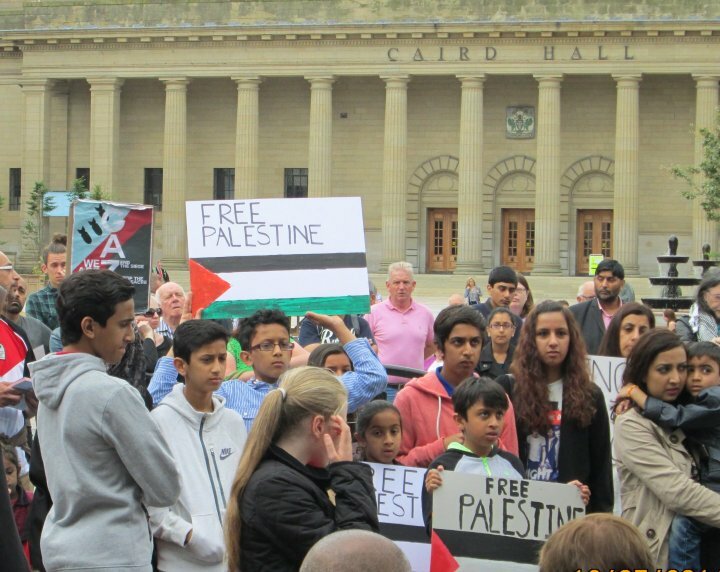 Palestine solidarity activists from all over Scotland will be gathering in Dundee City Square to show opposition to ethnic cleansing and Zionist colonisation of Palestine. Please come along and support this event. Bring flags, placards and banners.